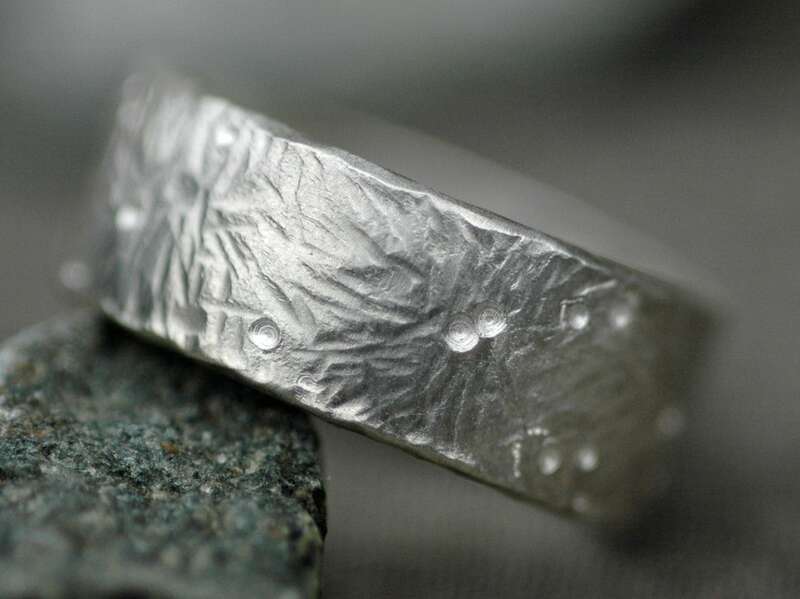 This listing is for a 3/8" custom-built sterling silver band. 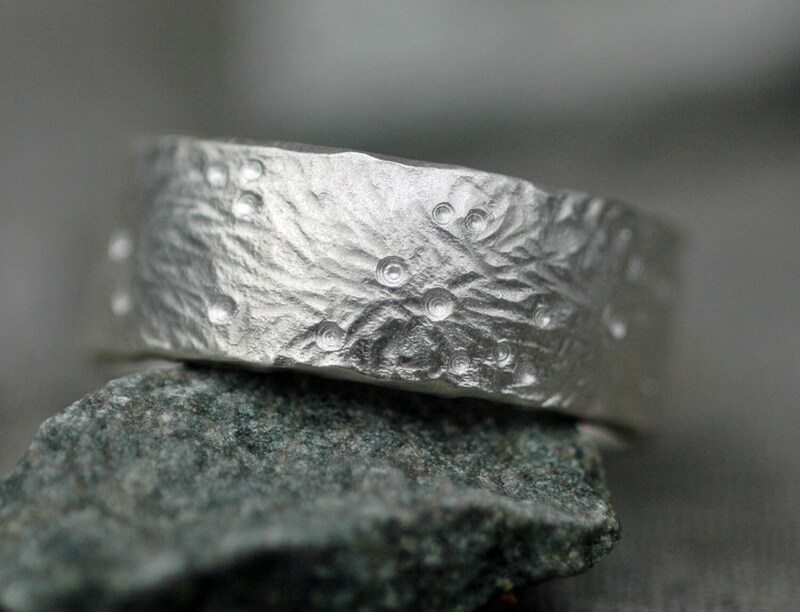 The ring is made to order. 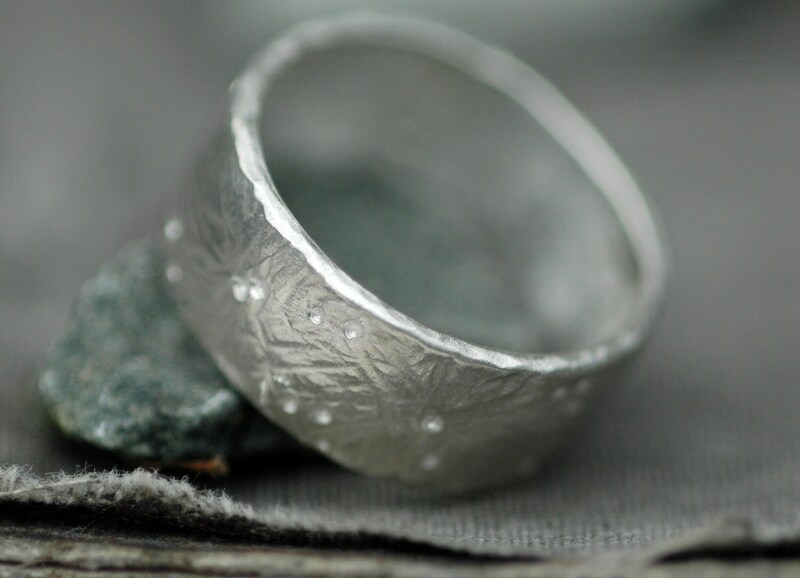 The band is built of thick 16 gauge sterling silver. I texture the metal in my studio, using a variety of tools and techniques. I was aiming to replicate the explosion of fireworks in this multi-textured design... there are five different texturing tools used to create this pattern. All inside edges are sanded and polished to a high shine, thus ensuring a smooth and comfortable fit. 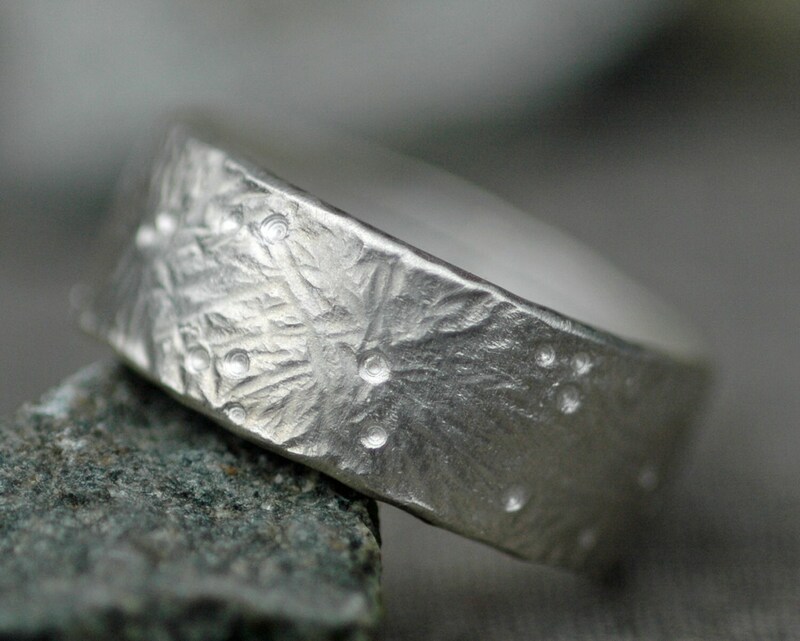 I have created a slightly undulating, hammered edge on the ring. 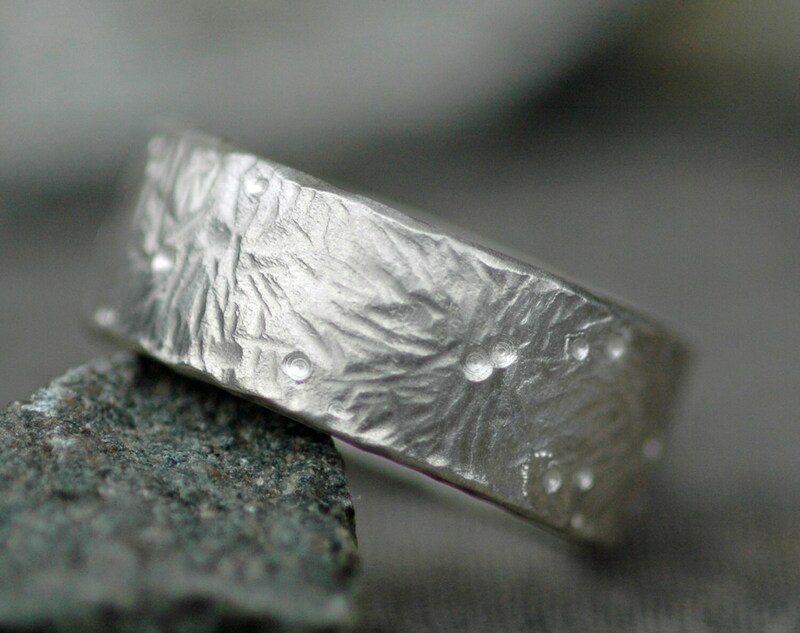 The ring is hardened in my rock tumbler for several hours prior to being shipped.